Paul and James at Food Circle Supermarket tell us how they hope to contribute to tackling food waste and helping people eat healthy for less. 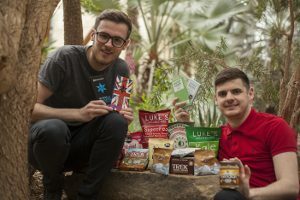 We are Paul and James, and we established Food Circle Supermarket in late 2017 after being inspired to help people to eat healthy for less, and do our bit for the environment. Our inspiration came from over three years working locally in the food and drink industry, and more specifically in the “surplus” food sector, where every day we witnessed inspirational organisations and charities diverting perfectly edible in-date food from the bin and ensuring it fulfils its original purpose – being eaten! However, the more we worked in this space, the more we noticed that niche products aimed at the “health” market suffered from the lack of an ideal outlet once they became surplus products. Before we explain our lightbulb moment, let’s take a step back and explain what surplus food is for the uninitiated. Because the food and drink retail industry is so fast-paced, unpredictable, and ever-changing, it’s an unfortunate inevitability that not all food that is manufactured makes it to the supermarket shelves. Let’s work through an example – a production line is churning out thousands of bags of its well-loved low-calorie popcorn an hour in order to meet what is expected to be a huge order from a retailer, based on their forecasts. They don’t know what the order is going to be yet, but it’s a gamble they have to take, as they cannot contemplate falling short. When it comes to the eleventh hour and the manufacturer receives the actual order from the retailer, they find that the order is not as large as the forecast suggested, meaning the manufacturer needs to find a home for the excess stock. Because popcorn is given a long shelf-life, it doesn’t cause too much panic as the manufacturer, selling under their own brand name, can put some of the stock towards another retailer’s order. However, this doesn’t account for everything they’ve made, and now we’re a couple of months down the line when other retailers will start to reject the stock as they need it to have a minimum of 80% of its shelf life to accept it. So what does the manufacturer do? Ordinarily they may have to dispose of the stock, sending it to recycling, incineration, or to be used to generate energy. But to any foodie like ourselves, it seems a crying shame to turn this fantastic product into energy when it is still perfectly edible, has months of shelf life remaining, and is still beautifully presented in its packaging as it was when it rolled off the production line. So what do we do? Well, we give those humble bags of popcorn (and lots of other stuff) a second chance to fulfil their original purpose – to be loved and enjoyed by a health conscious snacker! Not only that, we do it all here in the fabulous foodie city of Sheffield. 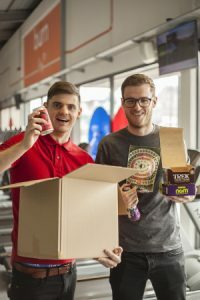 There are a number of organisations out there that do a similar thing to us, but as health-conscious foodies ourselves, we noticed that the healthy and free-from food sector was crying out for an online solution rather than the limitations of a bricks-and-mortar retail offer. Inspired by our vision we created what you see today – Food Circle Supermarket. An online store stocking a range of healthy snacks and store-cupboard essentials, from protein bars to gluten-free pasta, natural energising drinks to oatcakes. It’s environmentally ethical, it’s easy, we deliver to your door, and as if that wasn’t enough, because it’s surplus product, it’s up to 50% cheaper than the high street. 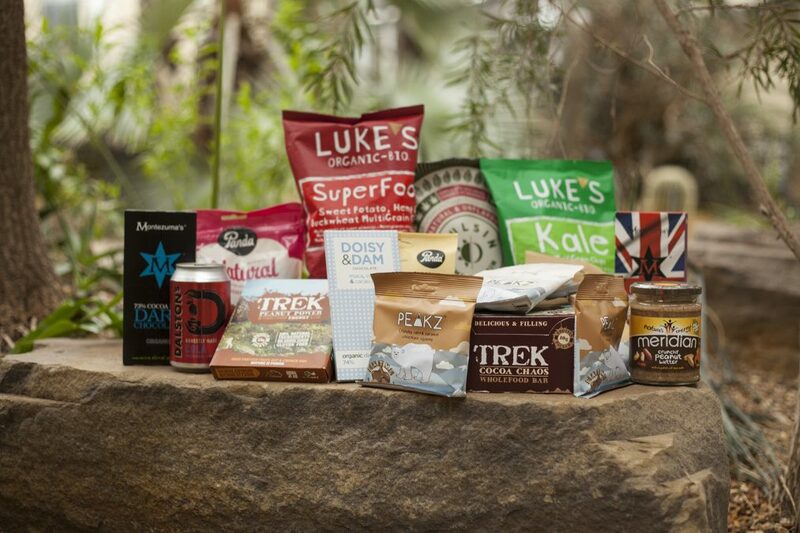 Not only that, you get the excitement of a constantly changing range of amazing healthy brands. Manufacturers more often than not get it right, so surplus food does not bring any guarantees, however we are always working hard to build on our range of environmental partnerships, meaning you will always see a mix of amazing brands and products on our website. Our aim is to be the go-to environmental solution for surplus food within the healthy food and drink sector of the industry, and to always provide an amazing range of healthy snacks, drinks and store-cupboard essentials for fitness fanatics, foodies and those with a dietary intolerance. We are both proud to be South Yorkshire born and bred, and to be part of the vibrant and exciting food industry here in Sheffield. We hope to see many of you at the Sheffield Food Festival – make sure you say hello if you bump into us! To find out more about us and our range of products, visit www.foodcirclesupermarket.co.uk. Food Circle Supermarket will be trading in the Innovator Market as part of the Food Futures area in the Town Hall on Saturday 26th May.